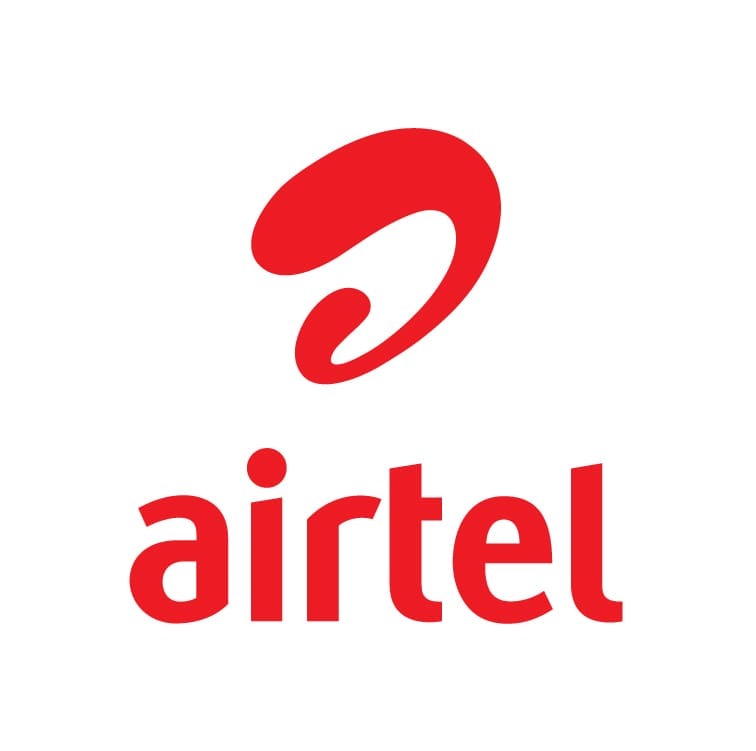 Airtel is the most popular cellular and broadband company in India, and it has recently crossed 20 million broadband subscribers. To celebrate that, Airtel is giving free data of upto 200 GBs for life for each and every 20 million subscriber. 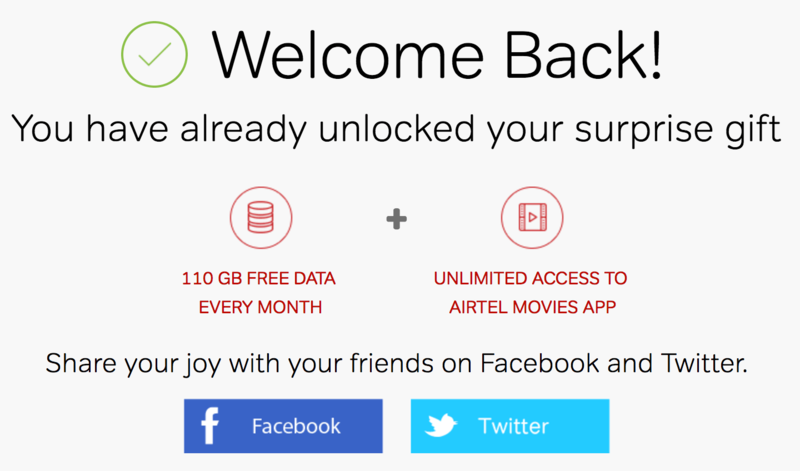 Go to the Airtel Broadband Surprise Page. Enter your broadband ID or your complete landline number with the STD code in the box provided. The page will refresh after you click the submit button, and your free data will be displayed on the website. You can not submit again and again to get more free data. Also, you can apply for free data from a single device for all the Airtel broadband connections (if you have more than one). You should be using Airtel broadband connection for personal use. The offer is available only for users who subscribed to the broadband services on or before 31/12/2016. People who got their connection in 2017 are out of luck. The offer ends on 29/02/2017. Make sure you get the offer before it expires. Customers who didn’t pay their broadband bills on time may also not be eligible for the free data. The free data will renew with every billing cycle. Do let us know how much data you earned in the comments section below. As shown above, I got 110 GBs of free data from Airtel. Since I was on a big plan, and I was not able to utilize the data included in my plan + the free data, I thought of getting my plan downgraded. So I called the Airtel customer care and got it done. In the next billing cycle, they discontinued my free data. I called them up to discuss what was the matter, and they told me that you downgraded your plan and that is why your free data was removed. I told them that nobody told me about this, and it was nowhere mentioned on the website too. They asked me to mail on their customer support email address and the free data will be provided within 4 hours of the email. They after a week or so, I received a call and they told me that according to their records, they can see only 30 GB of data for my account. I told them to visit the Airtel Broadband Surprises website, and it’s still showing 110GB of free data. Then came the reply that made me think that Airtel is cheating with their customers. He told me that he can’t access the website and I will have to send a screenshot to the email ID they provided. I still said I will do that, just hold on. And to that, he replied that he will not be able to access that email either. I will be receiving another call regarding that screenshot. Now I have sent the screenshot to them. It’s been a while and I have not got any reply. I will update it here once I get something. P.S. 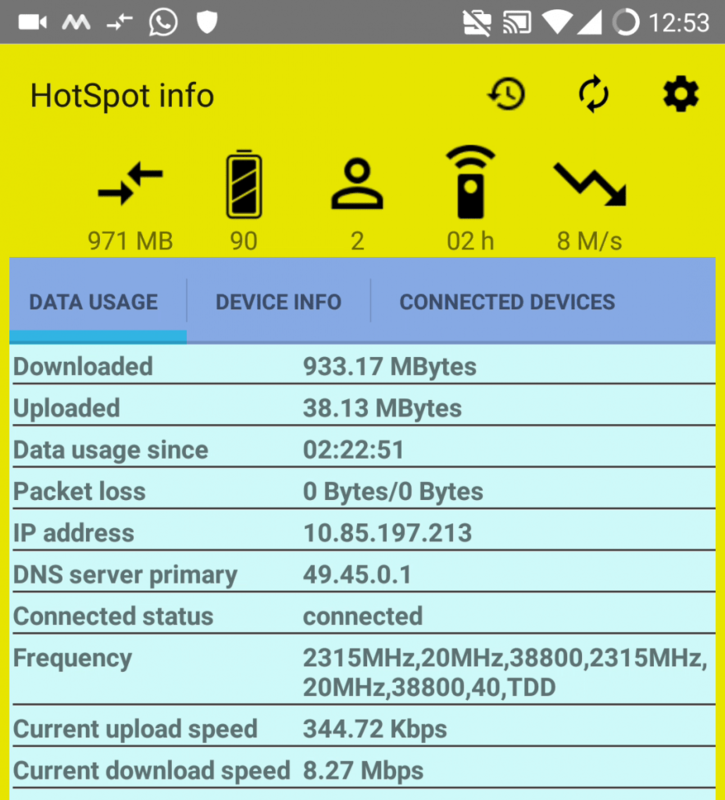 I have got multiple Airtel connections in my 2 offices and my home, and they did the same in all the connections I had.